The Inca Trail is considered the best trek in South America. It is a 43 kilometer route through ancient Inca trails to Machu Picchu. The duration of the tour is 4 days and 3 nights. Tourists have the opportunity to appreciate the scenic beauty with Inca archaeological sites including the Wonder of the World. How is the tour of the Inca Trail to Machu Picchu? When is the best time to travel the Inca Trail to Machu Picchu? What to take to the Inca Trail? How much does the Inca Trail cost? The Incas encompassed much of the South American continent. To maintain communication in such a vast territory it was necessary to build a network of roads. Thus, the Inca ordered to build a network of roads called Qhapac Ñan (Camino del Inca). The Qhapac Ñan were able to cover up to 30 thousand kilometers from the current countries of Peru, Ecuador and part of Bolivia, Chile, Argentina and Colombia. 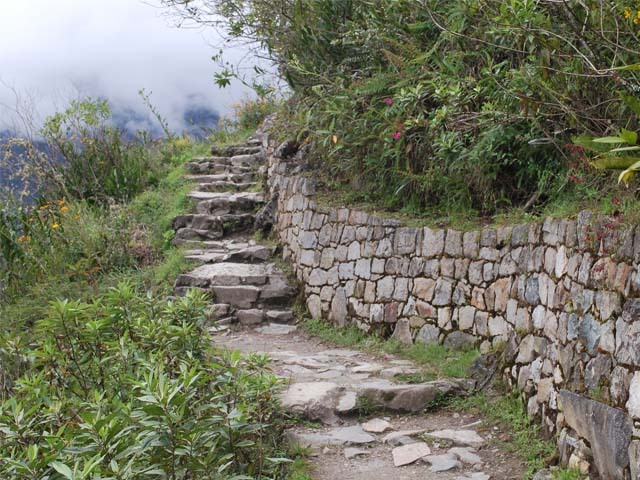 The hiking route of the Inca Trail to Machu Picchu is only a small part of the extensive road network of the Qhapac Ñan. 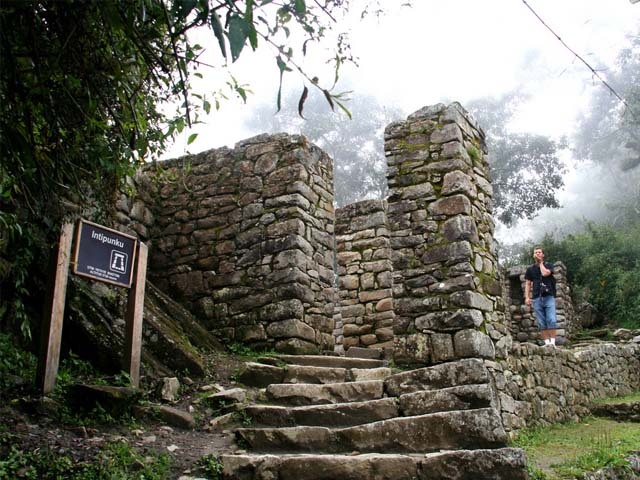 The Inca Trail was revealed to the world in 1915 when it was being excavated in the Inca City. Three decades later, the route was traced by the Viking expedition in 1942. Today, thousands of visitors decide to travel the 43 kilometers to the ‘Puerta del Sol’ in Machu Picchu. 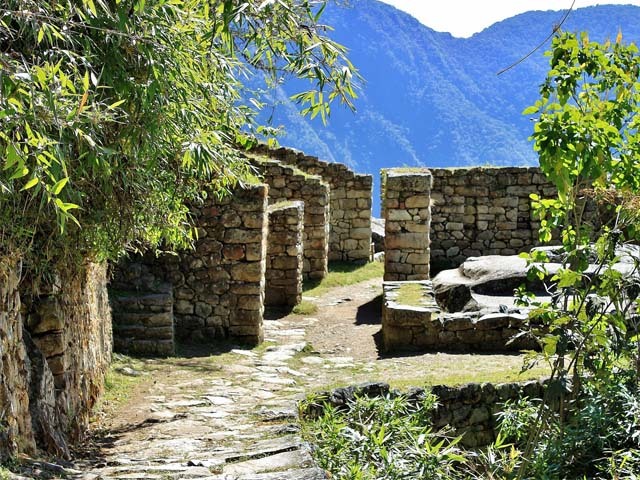 However, Machu Picchu is not the only archaeological site you will see on the Inca Trail. 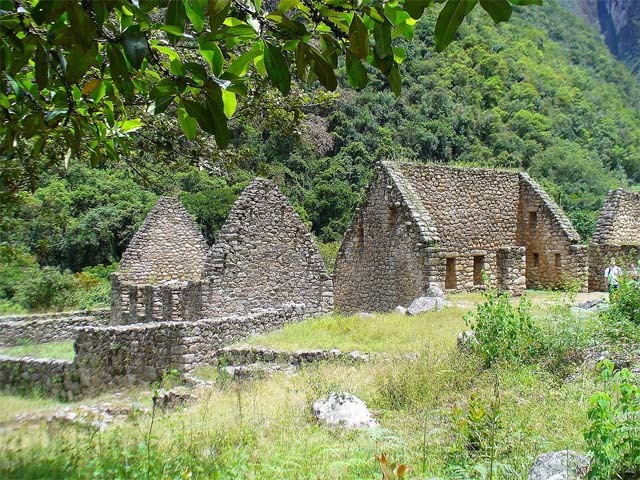 In the tour you will also appreciate the ruins of Llactapata, the archaeological site of Runkurakay, Saycamarca, Phuyupatamarca and Wiñaywayna. There are trains and buses that can take you directly to Machu Picchu. However, the experience of arriving as the Incas did during centuries is unmatched. Classic Inca Trail: 4 days and 3 nights (43 kilometers of hiking). Short Inca Trail: 2 days and 1 night (12 kilometers of walk). 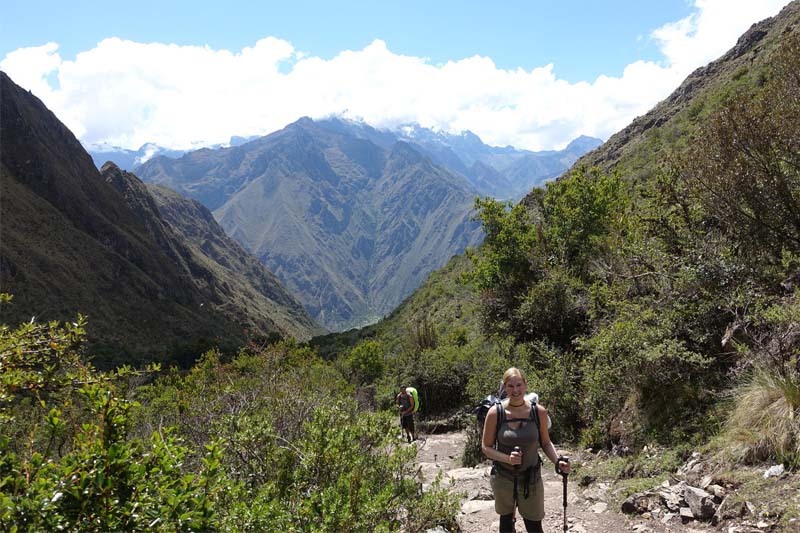 The Inca Trail shows rugged geographies with ascents and descents on the side of precipices. The mountains reach great heights with uneven stretches. In the jungle areas you will see the variety of tones of green tropical forests. The Inca Trail begins at kilometer 82 of the railway that leads to Machu Picchu (2 hours and 30 minutes by bus from the city of Cusco). Then the ascent to the valley of Cusichaca will begin. 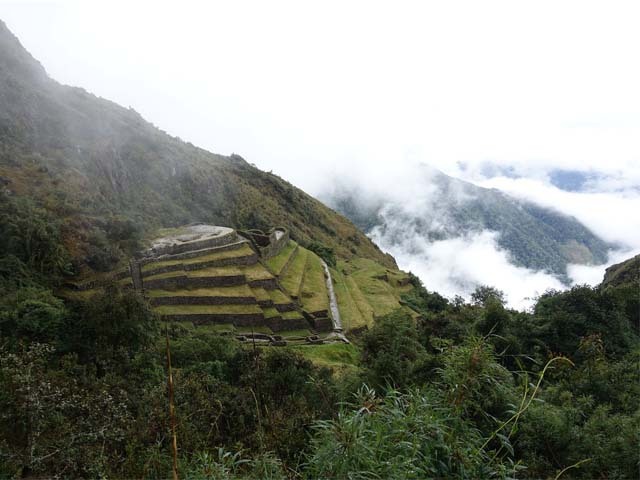 The visitor will visit the ruins of Llactapata (2,840 masl) until reaching the town of Huayllabamba (3,057 masl). The second day is the most difficult due to the physical demand. The tourist will ascend to the Warmiwañuska (‘Passage of the dead woman’). This is the highest point of the route (4,215 meters above sea level). From this point it is possible to see the archaeological site of Runkurakay (3,760 masl). On the third day, the descent will be vertiginous to the valley of the Pacaymayo river. The section goes down a stepped slope of almost 1, 600 meters to the site of Sayaqmarca (3.625 masl). Here the view is extraordinary. 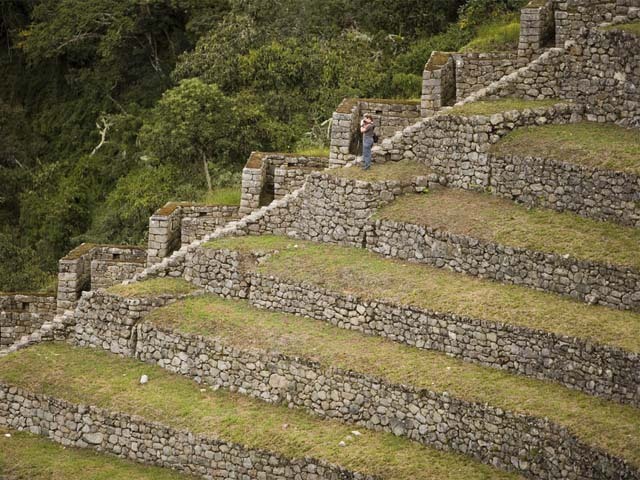 The last day hides some of the best Inca exhibitions: Phuyupatamarka, Wiñaywayna. When leaving these ruins, a gradual descent will be undertaken that will become more complicated in the end. Finally, you will arrive at the Intipunku or Puerta del Sol. 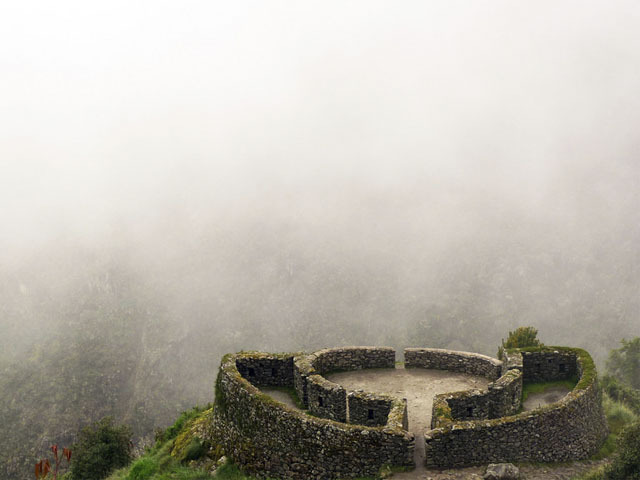 From there you will walk for another 30 minutes to the Lost City of the Incas, Machu Picchu. After visiting Machu Picchu, the visitor returns to Cusco through a train and bus service. The duration of the trip is approximately 3 hours. 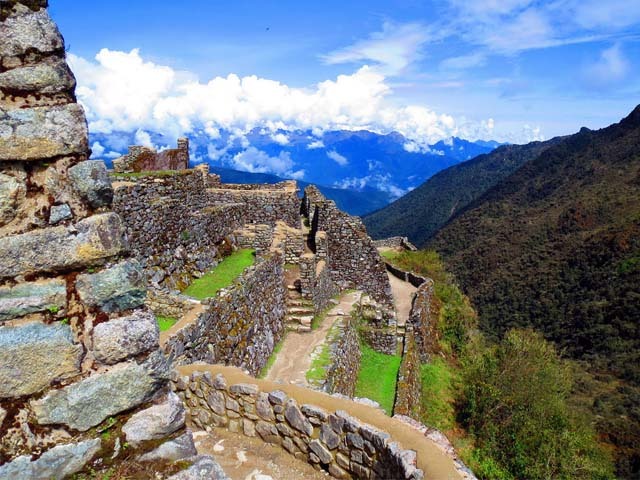 These services are included in the tours to the Inca Trail. During the 4 days of the Inca Trail you will experience tiredness and very low temperatures (between the Andes Mountain Range and the Amazonian forests). Due to the high demand for tickets, you must get entry tickets to the Inca Trail a long time in advance (6 months). The purchase is made only through the Internet through the website of an authorized tourism agency. In total 500 people enter the trails of the Inca Trail every day. Of them, only 200 are tourists. The rest is support personnel such as cooks, porters, guides. The ticket to enter the Inca Trail includes the support staff. Did not find availability to do the Inca Trail? The only way to enter the Wonder of the World is by train through the Sacred Valley of the Incas or through the alternative route from Santa María to Machu Picchu. Entrance tickets to Machu Picchu must also be reserved in advance. Do you want to enter Huayna Picchu after the Inca Trail? Request entry into the agency paying an extra price. You can also request a more luxurious train service. From May to September (dry season) is the ideal time to travel the Inca Trail to Machu Picchu. These months are usually good for the crossing due to the low frequency of rains. In the months of November to March the summer (rainy season) occurs. This time is usually very rainy, which makes walking and access difficult. 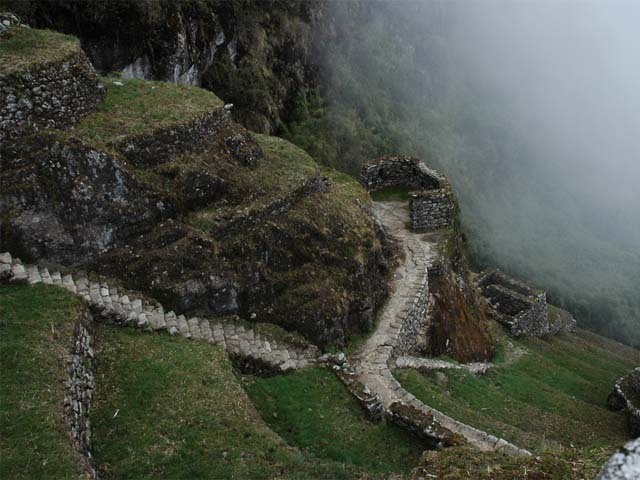 Even, it will not be able to cross the Inca Trail in February due to the precipitations and works of maintenance. The Inca Trail includes basic items such as: personal tent, tent for the kitchen, insulating mattress, food (breakfast, lunch and dinner), among others. The prices of the Inca Trail vary according to each tourist agency. The services that are included are: entrance to the Inca Trail, access to Machu Picchu, official tourist guide, transportation, food and porters (one per person). *Prices are averages and are in US dollars. The Inca Trail runs through high Andean landscapes where the ‘altitude sickness’ or ‘soroche’. is manifested . It is recommended to spend 1 or 2 days in the city of Cusco to acclimatize. During the 4 days of the Inca Trail there is no electricity or telephone network. If the visitor needs to be ‘connected’, he must take precautions. The hygienic services are camps conditioned for that purpose. 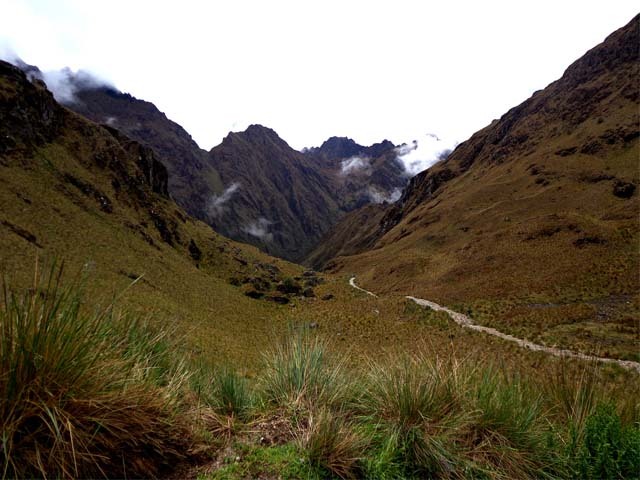 The classic Inca Trail consists of groups composed of a maximum of 16 people. If the visitor wishes to take a tour with a private group, they must request it online in advance. This service has an additional cost. The Inca Trail is considered to be of medium moderate difficulty. It is advised to be in an acceptable physical condition. A previous week of exercises will be enough. If you do not get availability for the Inca Trail, you can choose to get to Machu Picchu through the Salkantay route.